Despite increasing prices, there is intense competition among buyers because inventory is at all-time lows. That means multiple offer and bidding wars, increasing the likelihood that your home will sell above your asking price. The median price of a single family home sold in King County in February was $514,975, a whopping 20% increase over a year ago. The Eastside’s median price was up 20% to $739,975. You may be surprised at how much your home is worth today. 1) Sale prices are at all-time highs. Home prices in King County hit new highs last month. The median price of a single family home sold in King County in February was $514,975, a whopping 20% increase over a year ago. The median price in Seattle was up 24% to $644,950. The Eastside’s median price was up 20% to $739,975. You may be surprised at how much your home is worth today. 2) Competition among buyers is driving prices even higher. Despite increasing prices, there is intense competition among buyers because inventory is at all-time lows. That means multiple offer and bidding wars, increasing the likelihood that your home will sell above your asking price. 3) Homes are selling fast. With such limited inventory, homes in King County are selling rapidly – sometimes in days. If you list your house now, chances are you’ll get a buyer quickly. 4) You can make the sale work to your needs. With competition for homes so fierce, you have the freedom to make the deal that works best for you. Many buyers are paying cash. They’ll also make concessions. Do you want to stay in the home a few months after the sale? Want a large earnest money payment? You’re in the driver’s seat, and many buyers are willing to do what it takes to get the home they want. Are you buying a home this year?? 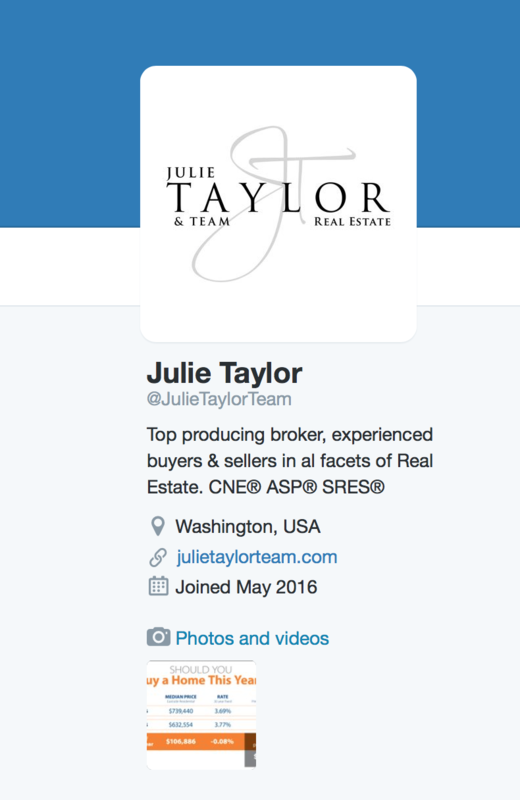 All of the latest statistics are pointing to a seller’s advantage right now. But are there still benefits for buyers in this market? Absolutely. Some potential home buyers may be hesitant to start their home search with extremely low inventory and high home prices in the Puget Sound region. While home prices have been increasing year-over-year, so have monthly payments for new buyers. This is when you ask yourself: What is the cost of waiting to buy? 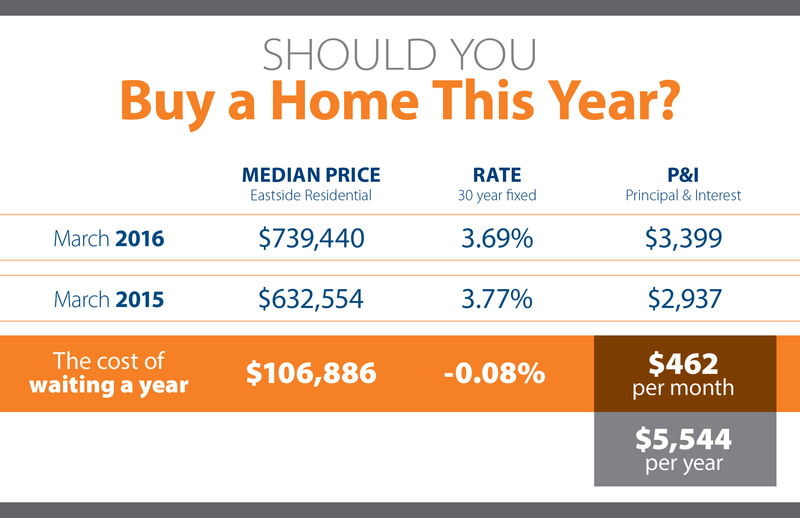 Between March 2015 and March 2016, the median home price on the Eastside increased $106,886. While the mortgage rate dropped slightly, the monthly payment increased $462 tacking on an extra $5,544 per year! How much more can it increase between now and March of 2017? If you want to wait, just remember how much more you could spend per month if you hold off until next year to buy a home. Take advantage of these low rates and payments; get in touch with your real estate broker to help you navigate our housing market and find your new home. Local Market Update – April 2016In "Statistics"
Local Market Update – May 2015In "Statistics"
Local Market Update – January 2016In "Statistics"